If you're looking for one-of-a-kind dining experience complete with quality tipples to complement the meal, there are a few events worth noting this week, ranging from a feast of fine steaks to fine Japanese fare. Wine pairing dinners are a good time to give that palate a work out, and you’ll have just that opportunity come February 27 when head chef Nobohiro Shimohigashi prepares a tantalising seven-course dinner to be paired with Californian blends from Japanese-owned Kenzo Estate in Napa Valley. The estate, which is gaining in popularity in Singapore, is famous for their Asatsuyu (sauvignon blanc), Yui (cabernet franc-merlot) as well as their Rindo and Ai (both cabernet sauvignon), which will be served with chef’s curated menu of contemporary Japanese fare. Pairing highlights include the likes of ocean fresh Spanish mackerel elevated with the bright and citrusy Asatsuyu, and pristine abalone and lobster balanced with the Yui and its crisp and citrusy notes. A heavier option, the pan-seared foie gras topped with sea eel is complemented by the rich and tannic Rindo. If you thinking about mixing it up a little and letting the night's featured tipples lead the way, then check out the restaurant's Once Upon Series on February 27, featuring bar director Marcis Dzelzainis from Sager + Wilde in London in a one-night-only takeover. Under his helm, the renowned wine-centric watering hole was honoured with the Best International Restaurant Bar accolade at the 2018 Spirited awards for its inventive libations with fresh flavours, and that's exactly what guests can expect. When he takes the helm at Tippling Club on Wednesday, he’ll be concocting five original cocktails including the Carrot Cake Colada, infused with 23-year-old Ron Zacapa rum, kummel, carrot and orange, and Cedar + Oak (quite simply a blend of Johnny Walker, citrus and cedar). Of course, the evening's indulgences are completed with head chef Ayo Adeyemi's lined up of stylized adaptations of traditional English dishes to complement the night's theme and featured cocktails. It’s that time of the year when this Italian stalwart brings back its much-awaited champagne brunch on March 3, from 11.30am to 3pm.The quarterly event celebrates its first edition on Sunday and will feature the Moët & Chandon rosé imperial; known for its intense and lively flavours, it's the perfect match to a ton of hearty Italian fare crafted by group executive chef Sebastian Donati and team. The brunch menu is still being tweaked, but you’re assured that there will be an extensive selection of fresh Italian cheeses, salads and desserts. And for the mains, these may include the signatures of homemade taglierini pasta with fresh tomatoes, basil and chilli flakes or risotto infused with the earthiness of in-season black truffles. Enjoy this amidst a lively ambience at the courtyard with a pop-up champagne bar, and complete with live music by resident DJ Donat. Entrepreneur Sheen Jet Leong used to work at the famed London SoHo steakhouse Flat Iron, and was inspired by its “£10 steak that didn’t compromise on the taste and overall experience”. So, he has decided to bring this idea and experience to Singapore, starting with a pop-up event that will run on the weekends all through March and April (from 5.30pm to 1am). The star cut (which the event is also named after) is the feather blade or flat iron. It’s known for being tender and hearty in flavour, especially when simply glazed with butter and sprinkled with salt. While you can have it with classic French sauces such as béarnaise and red wine, the Asian-inspired Sichuan peppercorn sauce is a tasty alternative. There’s also a small but well-curated list of drinks, from sake and wine to cocktails to wash it all down. The Yoshikubo Ippin sake is a good choice if your palate is craving for something sweet and fruity, while the Tamagawa Ice Breaker will suit you if you want something deep-flavoured and spicy. The Marmalade Pantry is back at Ion Orchard and is now occupying a 2,389 sq ft space on the fourth level. To celebrate its comeback, a range of exclusive and comforting fare served alongside delicious signatures can be had. 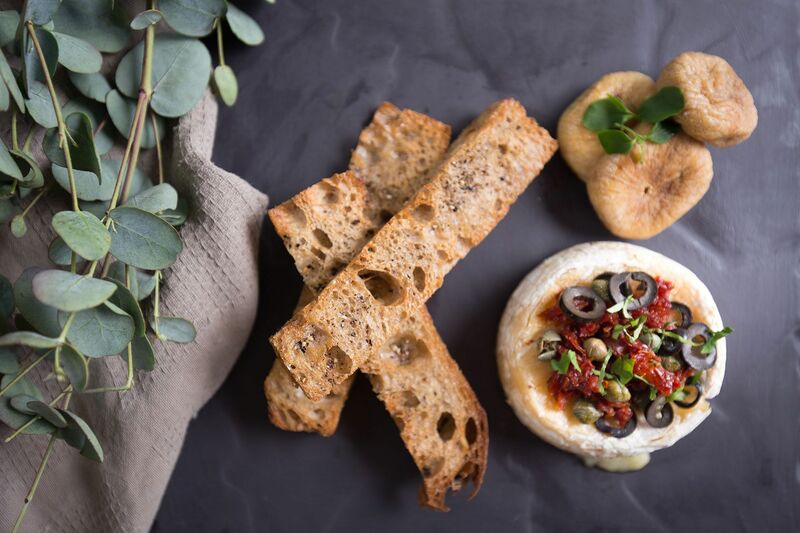 But if you fancy something new, start with the rich, gooey baked camembert offset by sundried tomatoes, capers, black olives and dried fruits. Or the warm, crusty Maryland crab cakes that you have to dip in their tartare sauce. Mains are even impressive, especially when you order the kimchi fried rice elevated with sous vide steak and onsen egg, or the luscious curry barramundi, studded with aubergine, okra and onions. Desserts which include the sticky date and toffee pudding, and a reimagined kaya toast, are crafted by Masterchef Singapore runner-up Genevieve (Gen) Lee.